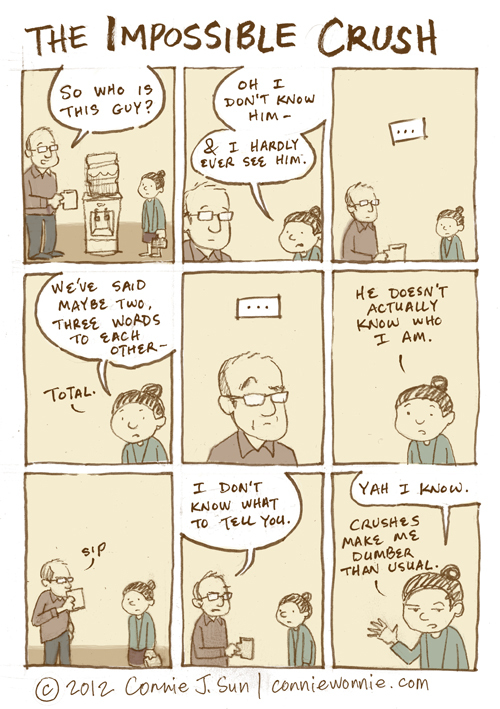 Crushes are almost, by definition , unrealistic. It's all based on too little information, the huge gaps filled with optimisim and dreams. You're a wise, wise woman Connie.